The FireTech High Output Robotic LED Scene Light solves the problem of night time scene illumination. 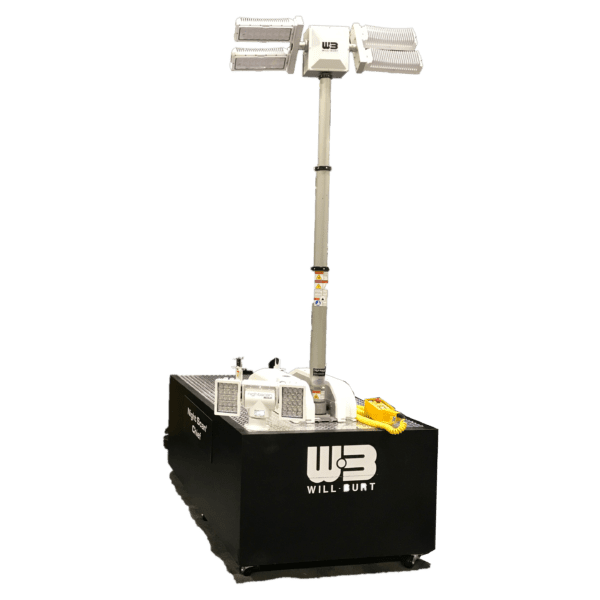 The fixture is available in two versions: an extremely high output LED Scene Light (28,000 equivalent lumens, 40 degree beam pattern) or a 100w single-LED “canon” version which shines a beam of useable light lights upwards of 2,000′. 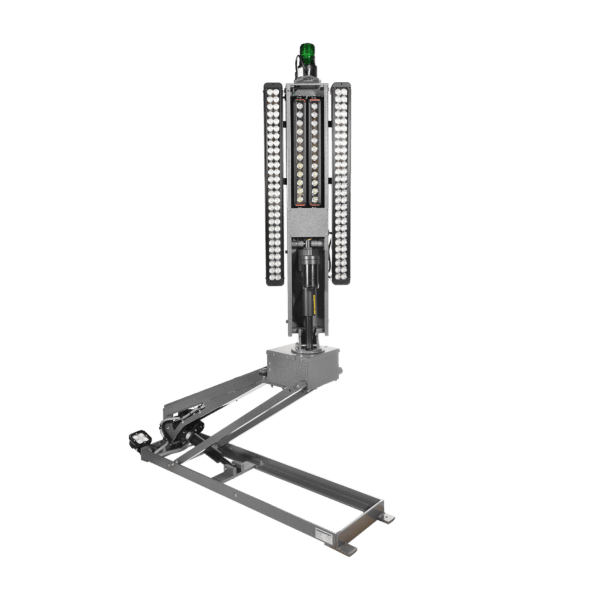 The FT-RSL fixture is designed with a no-slop gear train that allows for finite adjustment of the beam, even at great distance. It is capable of supporting loads up to 65 lbs, and can be configured in a variety of application. By default, the fixture ships with both a 25′ wired remote, as well as a handheld wireless remote controller. The robotic mechanism is covered by a 3 year repair/replacement warranty, and the fixture by the standard FireTech Lifetime Warranty.